I teach at an elementary school, and for the past few years we’ve held a “turkey trot” on the day before Thanksgiving to promote health and wellness. Students and staff enjoy being together and get a bit of exercise before presumably gorging themselves the next day. During the school year of our first turkey trot, in 2015, my class read the book The One and Only Ivan by Katherine Applegate, which opens with the George Eliot quote, “It’s never too late to be what you might have been.” The combination of that quote and the trot resonated with me, because I had recently started running regularly for the first time in more than 15 years. It was a new beginning, and I felt better than I had in years. At the conclusion of that first trot, each participant received a small plastic turkey charm. 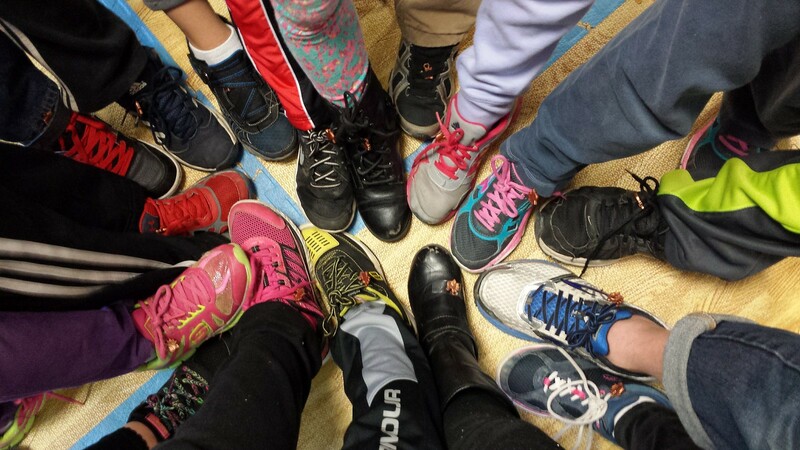 My students and I laced them onto our shoes and took a shoe selfie to mark the occasion. I’m not sure what happened to their turkeys, but mine stayed on that pair of shoes for about another 200 running miles before I transferred it to my next pair. After that, it was retired to my key ring so it could be with me all the time. As it turned out, that school year was my last as a classroom teacher. The following year I took a new position as the school’s technology specialist, which offered me the chance to impact more than 400 students in 20 classrooms. Lots of new things were happening. I was making decisions to live the life that I wanted. That little turkey charm is a small reminder that I have the power to change my life. I hope I’ve passed that message along to some of my students as well.